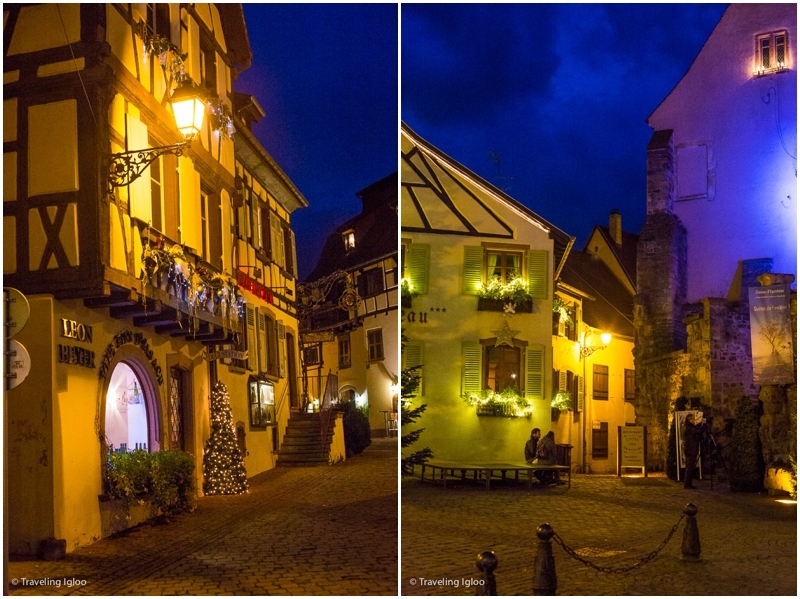 Consistently ranked one of the most beautiful villages in Southern France, Eguisheim is a small town in the Alsace region of France (Southeast France). 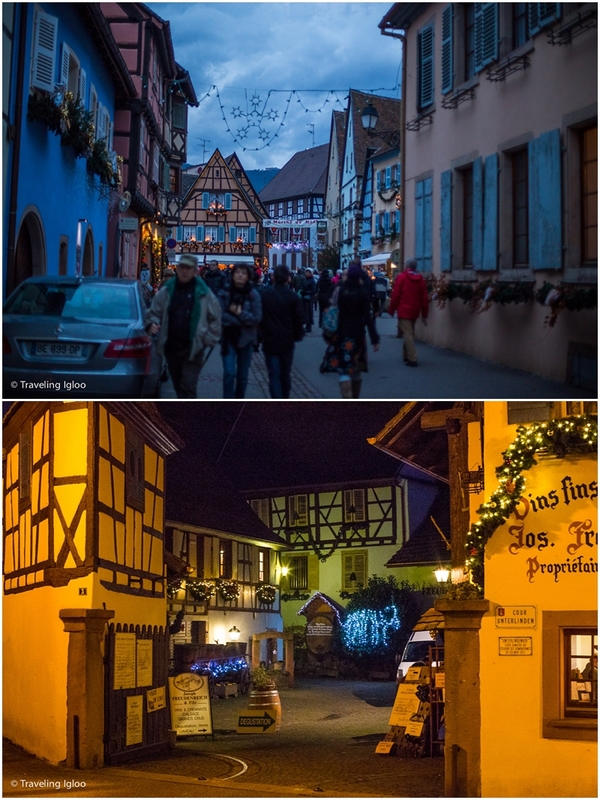 It's closest to Colmar and Riquewihr, villages that also rank among the most beautiful. After crossing the border from Switzerland to France and driving a short distance to our destination, we were immediately welcomed with 'Bonjour' and could see wine cellars all throughout the village. When we parked, two girls stopped us and we had no idea why. Then they spoke in english that they wanted to give us their parking pass since they were leaving. Not only that, we pulled into a great spot right up front as well! What a nice gesture, and who says French people aren't nice! Here are some photos from our day trip. The Christmas market area was quite elegant, but fairly small. You could probably walk the entire thing in about 10 minutes. However, if you want to take in everything and visit the shops you should stay much longer. And you must get a macaron! If you're wondering what that is, and if it's different than a macaroon, check out this lovely explanation from The Ruche Blog.